Northeast Mississippi is hill country, rugged and notorious for outlaws since the Civil War, where killings are as commonplace as they were in the Old West. To Quinn Colson, just back from a tour of Afghanistan, it’s home. But home has changed. Quinn returns to a place overrun by corruption. 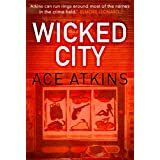 His uncle, the county sheriff, is dead – officially it was suicide, but others whisper murder. In the days that follow, it will be up to Colson, now an Army Ranger, to discover the truth – not only about his uncle, but also about his family, friends, hometown and himself. But once the truth is uncovered, there is no turning back. 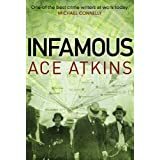 Being a steadfast fan of the wonderful Ace Atkins for many years, I always relish a new book from this gifted and compelling crime writer. 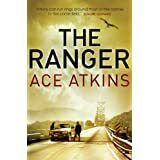 I am pleased to report that ‘The Ranger’ does not disappoint and, in my ever so humble opinion, marks the start of what I believe will be a superlative series featuring Quinn Colson, a man who would be more than capable of giving Jack Reacher a good old run for his money! The characterisation is absolutely pitch perfect as Colson is an archetypal tough guy who through his Army training is well-honed and resourceful in his defence of those he seeks to protect, and is no stranger to physical violence. He exudes an air of morality and is not adverse to expressing his finer feelings, and with this combination of traits makes him an extremely attractive character to male and female readers alike. He is supported by a perfectly drawn cast of characters from his brilliant sidekick Boom, to local deputy Lillie Virgil and the rapport and interaction between these three in particular engages throughout. 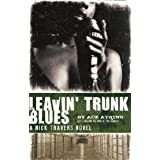 Likewise, Atkins surrounds them with a cast of typical Mississippi folk, no strangers to violence, but also just trying to get along the best they can. The baddies are great- inbred and for the most part stupid- and whenever they enter the story I heard a distant echo of duelling banjos as they are continually thwarted by Colson’s actions and his dogged determination to bring them to book. 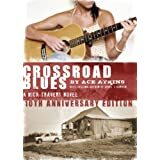 The dialogue is taut and slick, with many an interaction suffused with the natural sassy wit of this region’s inhabitants, and the natural intonation of the South sings from every page. As I made reference to at the beginning, ‘The Ranger’ marks the start of a series and I’ve heard from other bloggers that the second in the series, ‘The Lost Ones’ is even better than the first. 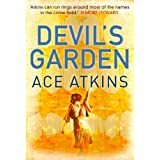 Yes, there is much to be recommended here for fans of the earlier books of Lee Child, but for my money, Atkins outreaches Reacher (sorry couldn’t resist) with his superior grasp of character and location. 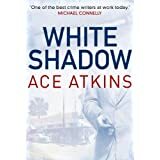 Also once you discover Atkins, there is another world of adventure in store for you with his eclectic back catalogue, mainly set in the South, a combination of the fictional and at times cleverly drawing on the factual, but all imbued with the assured hand of one of the best crime writers you will encounter. Thanks, Raven, for this great review. I enjoyed this one too and would definitely like to read the second in the series. It’s on my TBR pile. Must read it soon.